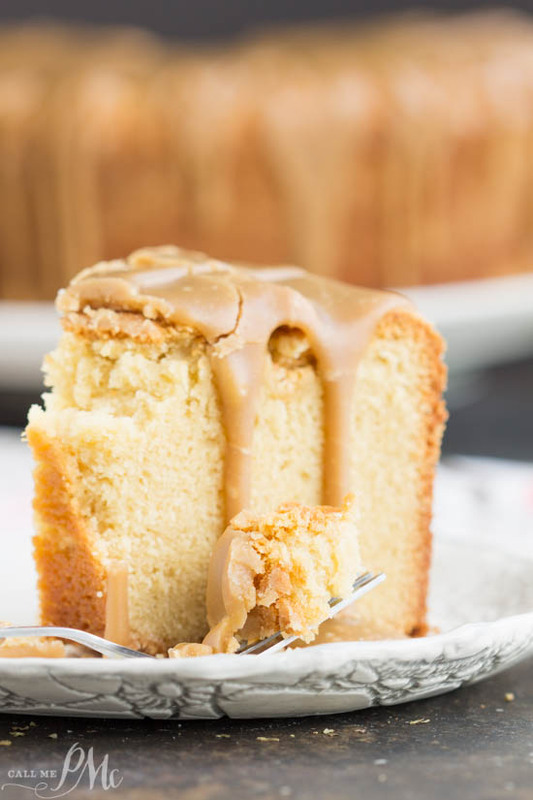 Cold Oven Brown Sugar Whipping Cream Pound Cake is perfectly moist and velvety on the inside with that crusty top that’s loved so much. 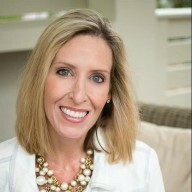 For more scrumptious recipes, fun projects and exciting news, follow me around the web! 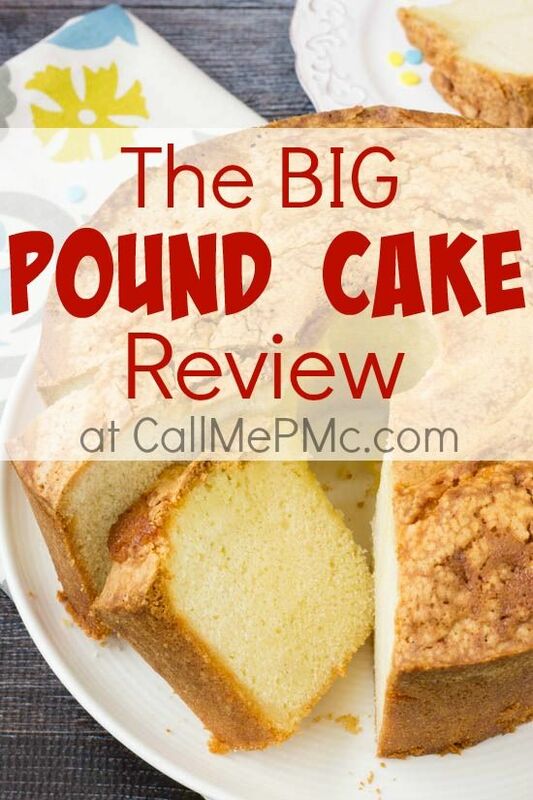 Thanks for joining me again in my Pound Cake series. 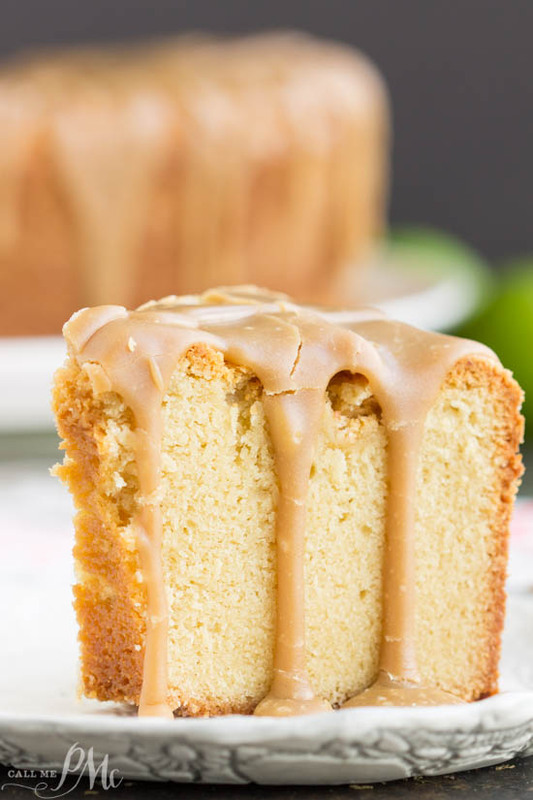 Today I’m sharing with you this Cold Oven Brown Sugar Whipping Cream Pound Cake. Brown sugar gives this pound cake a debt of flavor unlike those made with granulated sugar. I would describe it as ‘more earthy’. 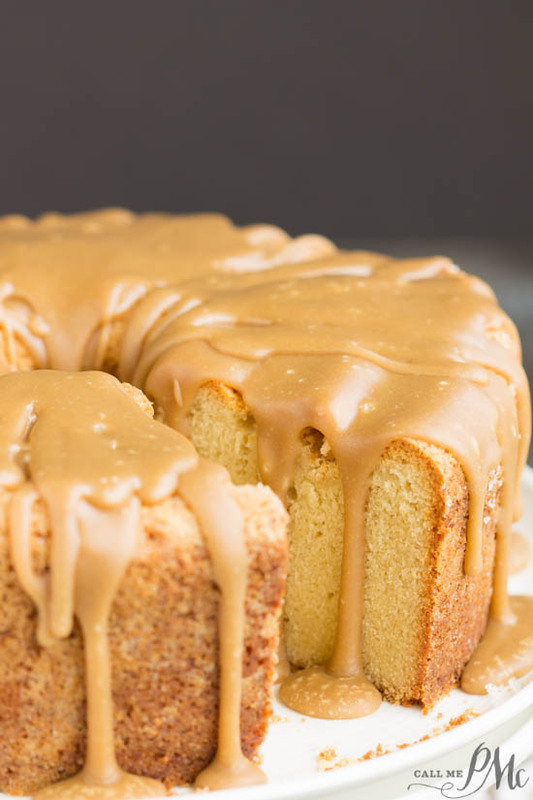 I added a caramel glaze since the cake itself isn’t very sweet. I’m always in for adding caramel to anything! You may prefer to omit the caramel glaze. 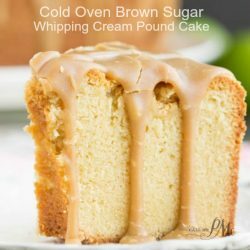 This Cold Oven Brown Sugar Whipping Cream Pound Cake is sweet without being overly sweet especially if you leave off the caramel frosting. 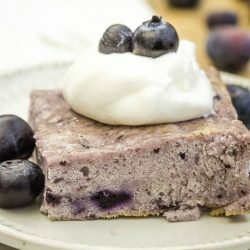 You may want to serve the cake with fresh berries, ice cream, or a dollop of whipped cream. You may be asking yourself, why a ‘cold oven’? Honestly, I have baked pound cakes in both a cold oven and a preheated oven and can’t tell any difference in texture. Obviously, the cold oven takes slightly longer to bake. If you google ‘why bake a pound cake in a cold oven’ you’ll get very passionate responses on both sides of ‘do bake in a cold oven’ versus ‘always preheat your oven’. 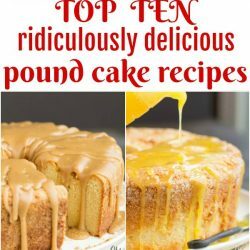 I’m telling you, I’ve tested both on the exact same pound cake recipe and could not tell a difference. I prefer to bake my pound cakes in a tube pan versus a bundt pan. 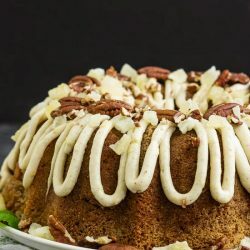 Several of my pound cakes in this series have too much batter for a standard bundt pan. I use this Calphalon Nonstick 10-inch Tube pan for almost all of my pound cakes. For any cake, be diligent about measuring your flour accurately. I wrote this post that will help you if you’re not sure how to measure: How to Correctly Measure Flour. Allow yourself time to cream the butter (or fat) and sugar for a pound cake. Don’t be tempted to rush the process. You want to cream it until it is light in color and fluffy. As well, don’t dump the eggs in all at once. Add them one at a time beating until you can no longer see the egg before you add another one. To test for doneness, insert a long skewer into the thickest part of the cake. 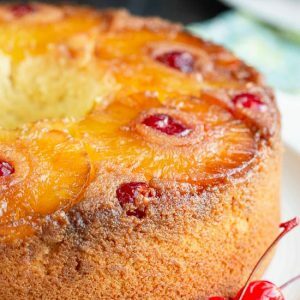 The cake is done when no crumbs or dry crumbs remain on the skewer when removed. Allow the cake to cool on a wire rack for 20 minutes before inverting onto a serving platter. Cool the cake completely before covering. 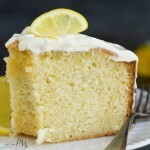 Pound cakes without a cream cheese frosting can be stored in an airtight container on the countertop for 3 to 4 days. 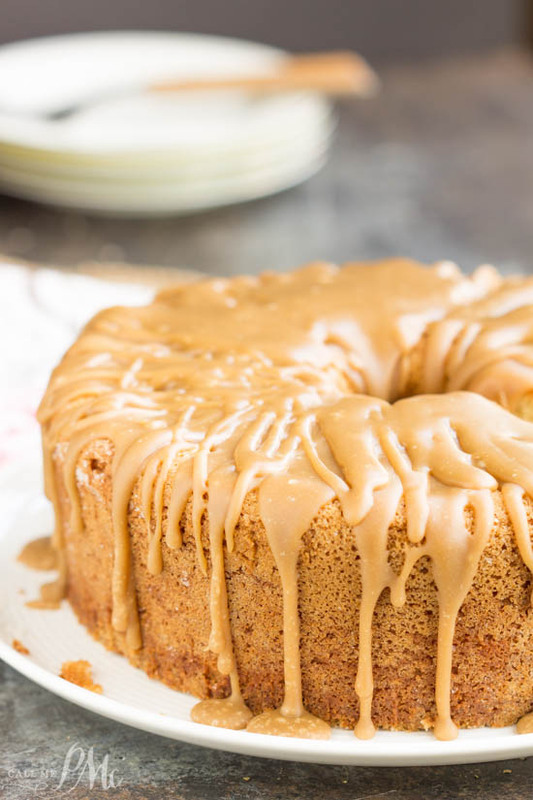 Cold Oven Brown Sugar Whipping Cream Pound Cake is soft, moist and tender on the inside with that crusty top that everyone loves. Like the name suggests it starts in a cold oven and gently bakes for about 80 to 90 minutes. In the bowl of an electric mixer cream butter and shortening until light and fluffy. Add brown sugar and granulated sugar to butter mixture and cream together until smooth about 5 minutes. Add eggs to the butter mixture one at a time. Allow each egg to be incorporated into the mixture before adding the next egg. In a separate bowl, sift together flour and baking powder. Add flour and whipping cream to butter mixture alternately beginning and ending with flour. Pour batter into the prepared pan and smooth the top. 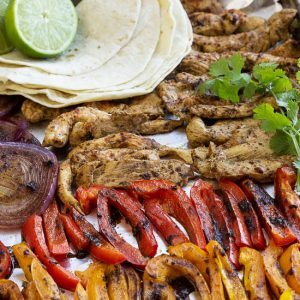 Place in a cold oven and bake at 325 degrees F for 80 to 90 minutes. Cake is done with a wooden pick inserted into the center comes out clean or with dry crumbs. Cool in the pan for 20 minutes before inverting onto a wire rack or serving platter. Cool completely before frosting. 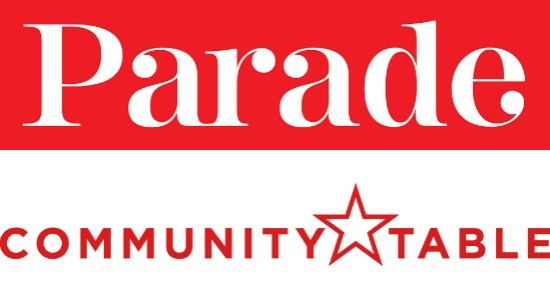 (optional). Bring the sugar, butter, milk, and salt t oa boil. Boil 3 minutes stirring often. Add baking powder and vanilla. Beat at med speed with an electric mixer for 5 to 7 minutes or until thick. 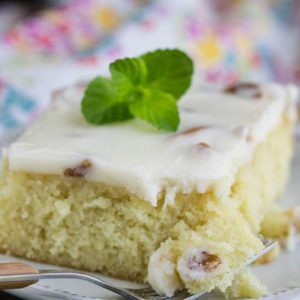 Hi Paula, I make your cake recipes and make my own recipes. i hail from North Carolina and a lady is known by her cakes and pounds, smiles. God bless. Thanks for being there. So happy you enjoy them, blessings! I tried a similar pound cake previously and did not have luck with the cold oven but I think that recipe may have called for 350F. Do you know if this works for electric ovens, it seems to be made for gas ovens. Tjanks. My oven is electric. 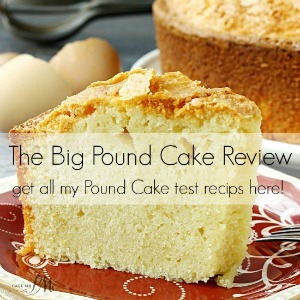 I’ve tested pound cakes both ways and I honestly can’t tell a difference in the end product. In the Caramel Frosting, it calls for 1/2 t of baking powder. Should that be 1/2t baking soda? I’ve always used baking soda. Just wanted to make sure I do it right. Thanks so much!! It’s ‘supposed’ to keep it soft. At least that’s what I learning in baking class. 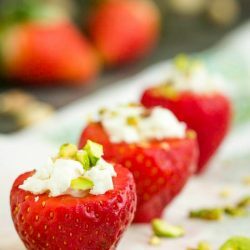 if you found this recipe years ago in a cookbook, how can the author of this blog claim copyrights to it? I didn’t get this out of a cookbook. I made it up myself. If it’s similar to another recipe, it’s merely a coincidence. The frosting calls for 1/2 t baking powder. Should that be 1/2 t baking soda?? I’ve always used baking soda. 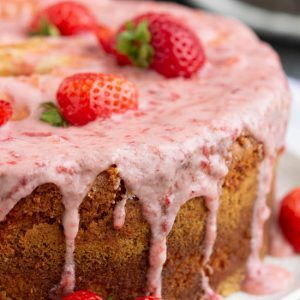 Cake is beautiful and looks delicious! I want to make it for a cake sale. 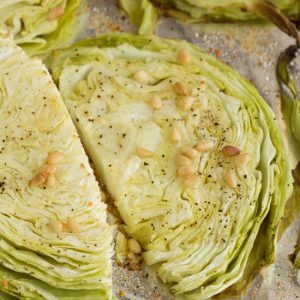 Did you use unsalted butter for this recipe? I always use salted, but either is fine, your preference.